Type faster and with less errors! 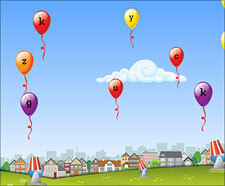 Learn to type using these excellent freeware keyboarding tutors, fun typing games and typing websites. This is a good list of links to the best shareware and freeware typing tutors. We find and review high-quality free educational software and websites - mostly for kids, but also for grown-ups. We have a large selection of web-based software (check the Online tab), as well as Windows educational software to download (under the Downloads tab). Many of the software titles are multilingual. In order to find free learning games and software in your language, you can list the freeware by language. Where is Alabama? Play our map quiz on the 50 US states! This article lists a number of sites with some great typing games that are not only fun to play, but are sure to help increase your student or childs typing skills in a very short time span.